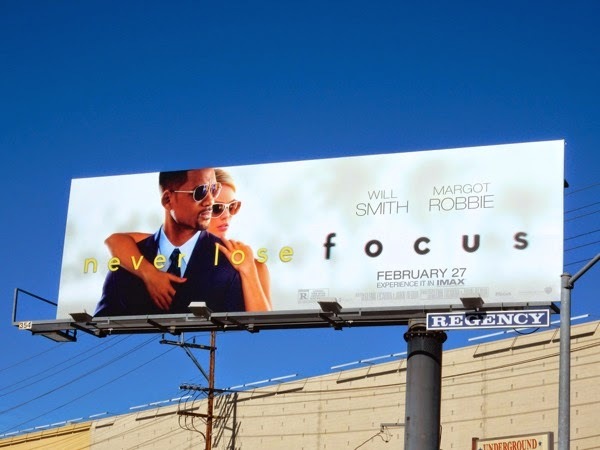 With a string of lackluster box office performers in recent years, Hancock, Seven Pounds and After Earth to name but a few, can Will Smith return to his former glory with his new film, Focus. 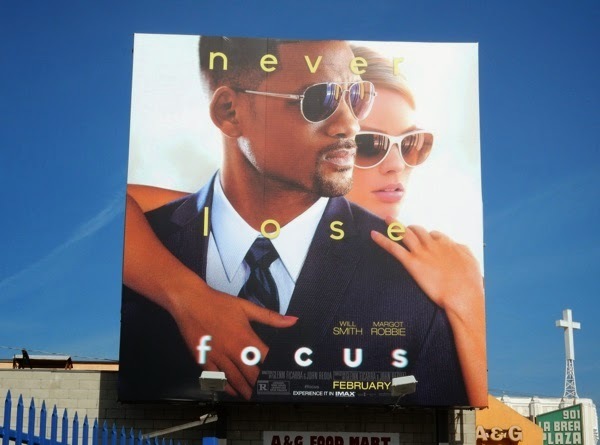 Playing a veteran grifter, he's joined in his conman schemes by The Wolf of Wall Street's Margot Robbie, but things become complicated when they become romantically involved (isn't it always the way). 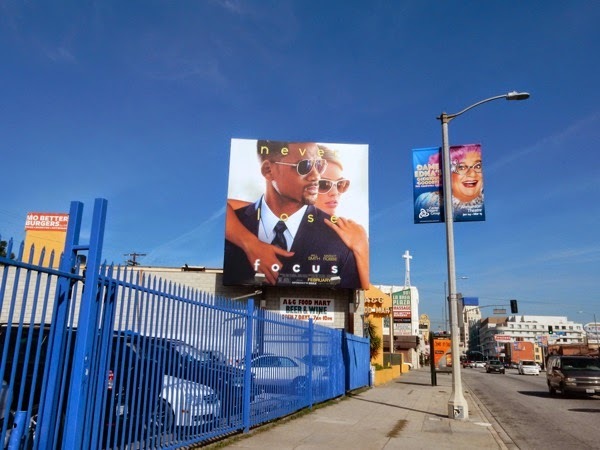 These impactful 'Never lose' billboards were snapped along La Brea Avenue and Fairfax Avenue at the start of February 2015. 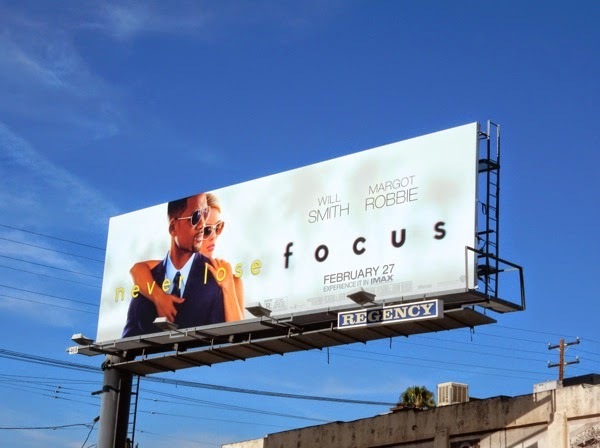 If you're a fan of Will Smith, be sure to also check out these Men in Black 3 movie billboards and After Earth film billboards. 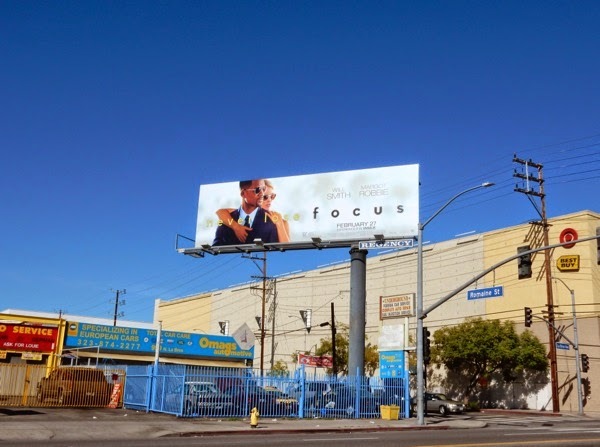 Let's hope his next big con doesn't come crashing down around his ears again.